Children love to personalise their greeting cards. 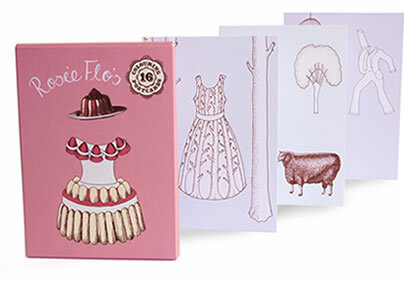 Now it’s easy with Rosie Flo’s colouring postcards and Johnny Joe’s colouring postcards. There are 16 postcards in each set, beautifully printed on high quality card. Each postcard features a different design to draw, colour and send. These are great in a party bag. What child could want more than a set of these postcards, some colouring pens and a sweet?